IS ‘till death do us part’ an obsolete concept with the new generation of professionals? Rising career aspirations and compulsive work conditions seem to be playing spoilsport with the age-old tradition of married couples spending their life together under the same roof. Bhagat Singh was just 23 years and a few months when he was hanged by British colonialists on March 23, 1931. By the time Bhagat Singh went to the gallows, he had entered the hearts and minds of all Indians, some of whom later became Pakistanis and Bangladeshis. K.S. Bains on the gurdwara at Majnu ka Tila and the two small structures raised there by Sardar Baghel Singh, head of the Karorsinghia misl. This is the third of the nine-part series on the important gurdwaras in Delhi. THE spot called Majnu ka Tila has no connection with the traditional Laila-Majnu tale. At this spot, on the right bank of the Yamuna, lived a Muslim fakir. He fasted very often, lived an austere life and was generally shabbily dressed. A study by University of Virginia sociologists W. Bradford Wilcox and Steven L. Nock finds that the single most important factor in women’s marital happiness is the level of their husbands’ emotional engagement, not money, the division of household chores or other factors. Living together on weekends. That’s what some new-age couples are indulging in, finds Ritusmita Biswas. IS ‘till death do us part’ an obsolete concept with the new generation of professionals? Rising career aspirations and compulsive work conditions seem to be playing spoilsport with the age-old tradition of married couples spending their life together under the same roof. The new age marriage seems to be adapting to new social and economical realities that compel a couple to stay apart despite being married. Meet Snehal and Madhurima Sharma, both from Mumbai. They stay with their respective parents on workdays and stay together as spouses on the weekends in their "love nests." Madhurima, who works in a call centre, began ‘weekend-living’ with her husband three years ago. Every weekend she "dates" her husband. She turns up well dressed and as elegantly made-up as she was when the couple first fell in love. "Living apart over the week is more convenient. I need to reach my office by 6.30 in the morning and it is impossible to travel from my husband’s place at that early hour and reach in time. Neither can he stay in this locality as he too needs to do night shifts and cannot travel this far, she says. "Besides, separation allows us to be independent to manage our own affairs and to take care of our elderly parents, while the weekend dating makes us feel like we are on honeymoon," she adds. Agree Radha Balakrishnan and Sumangal Balakrishnan, both senior government officers posted in separate districts of Maharashtra. "It cannot be helped. Owing to our job profiles, we have to stay away from each other. Every time when he is transferred, it is not possible for me to leave everything and go. And we both must work to ensure a decent life for our family," Radha says. Swati Jain, who stays alone in New Delhi, however, has a different reason. Her husband Nilanjan is posted in the US for a project with HCL Technologies. Says Swati: "In the initial years of my marriage whenever he was posted abroad, I used to follow him. But not any more. My sons and daughters are in school and we cannot take chances with their education. I have to stay alone and manage the show." "However, this is not a recent phenomenon. Since ages men have been staying apart from their family for professional reasons. People in the Navy and Army stay away for years from their families. So what is the hullabaloo about it?" Swati asks. True, but earlier staying away from the family was limited to certain professions, nowadays it encompasses a wide range of job profiles. Besides, not only professional aspirations of the male but the rising career aspirations and demands of the female partner too are equally responsible for couples staying apart. Studies show that people who adopt this way of living after marriage are mostly well qualified and are seeking a better quality of life. But does this have an adverse effect on the institution of marriage? No, asserts Swarna Majumdar, a school teacher in Kolkata. She stays away from her husband Moloy, who is posted in Mumbai: "The most interesting togetherness is when you have known separateness. People fall out of marriages not because one day they wake up out of love, but often because they are crushed under the weight of domestic trivia. They become emotionally claustrophobic. This shall never happen in my case," she smiles. This sort of arrangement is not without its pitfalls. "There are times when I feel very lonely. Maybe a bad day at office or a terrible migraine attack and I want to quit my job and be with him," says Madhurima. The doubts naturally come with distance and the only way to keep these power marriages alive seem to be proper communication. Talking to each other regularly keep Nilanjan and Manjira Sarkar going too. They live in different cities during the week, she in Kolkata, and he in Singapore. "Every day we spend some time talking to each other," says Manjira, a top executive in a multinational company. Nilanjan says, "It’s tough staying apart but our marriage works perfectly this way. And yes, we are very much in love and whenever we find time, we take our honeymoon break and look forward to it." Bhagat Singh was just 23 years and a few months when he was hanged by British colonialists on March 23, 1931. By the time Bhagat Singh went to the gallows, he had entered the hearts and minds of all Indians, some of whom later became Pakistanis and Bangladeshis. With the publication of Bhagat Singh’s writings largely after 1947 and more in the last few decades of twentieth century (complete documents in Hindi are now available in one volume), the martyr became known as a revolutionary socialist thinker as well. This year not only happens to be Bhagat Singh’s 75th year of martyrdom but will also mark the beginning of his birth centenary year on September 28. Bhagat Singh was born on September 28, 1907, in Lyallpur Banga. His ancestral village, however, is Khatkarkalan near Banga in Nawanshahar district. Bhagat Singh spent most of his childhood in Pakistan’s Punjab, particularly Lahore. He was also martyred in Lahore. Bhagat Singh is revered not only in India but also in Pakistan and Bangladesh, while people in countries like Nepal, Sri Lanka also respect this great revolutionary from India. Even in international arena, if Mahatma Gandhi has become a symbol of Indian non-violent struggle for freedom, Bhagat Singh’s name comes close to great revolutionaries like Che Guvera, Simon Bolivar and Nelson Mandela. There is a need to propagate Bhagat Singh’s ideas by translating his documents in all Indian languages. A picture of Bhagat Singh should be hung in Parliament. His writings against communalism and untouchability could be introduced in school curricula. This freedom fighter is a symbol of unity for the people of India, Pakistan and Bangladesh, and his ideas can be a beacon of light for them. In fact, it is felt that Pakistan should enter into a healthy competition with India in claiming the legacy of Bhagat Singh. Bhagat Singh was born, brought up and educated in Pakistan. He had his revolutionary training in National College at Lahore. His activities in India include holding a meeting of revolutionaries at Delhi in September 1928 and dropping a bomb on the Central Assembly in Delhi, apart from spending sometime in Kanpur or some other places. The joint legacy of Bhagat Singh can help both countries come closer, at least culturally. The birthday of Bhagat Singh (September 28) should be declared as "National Youth Day". The ideas of the martyr would enthuse the youth, who are the builders of the free nation. This freedom fighter no longer remains an individual. Historical personalities become symbols of ideas and movements. 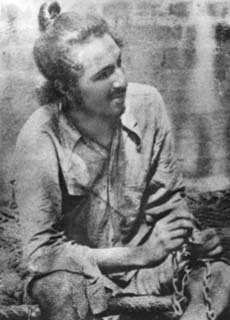 Bhagat Singh has emerged as a symbol of the most radical nationalist movement against imperialism and colonialism. He represents the highest ideals of Indian revolutionary movement. Bhagat Singh is one among many national heroes, whom Dalits and minorities — who form a large chunk of the Indian society—are ready to accept as their hero because of his radical views on untouchability and communalism. Along with Dr Ambedkar, Bhagat Singh also has an appeal for Dalits of this nation. All democratic and nationalist Indians should unite on this occasion and by focusing on Bhagat Singh’s ideas, build a powerful resistance movement against a much more dangerous neo-colonial onslaught, more powerful than the old colonialist British empire. THE spot called Majnu ka Tila has no connection with the traditional Laila-Majnu tale. At this spot, on the right bank of the Yamuna, lived a Muslim fakir. He fasted very often, lived an austere life and was generally shabbily dressed. Being a thin lean man with tattered clothes, he came to be called Majnu. This fakir was a divine personality and had many followers. Guru Nanak visited him and blessed him. He explained to him that it was not necessary to fast and live an austere life to reach God. He said one could live a normal life and still connect with Him. Many religious persons started visiting Guru Nanak at the Tila to listen to his discourses. One of the important peers who visited him was Sajjada Nasheen of the well-known Nizamudeen Aulia dargah. The then ruler of Delhi, Sikander Lodhi, had issued orders prohibiting non-Muslims from preaching in public. Guru Nanak and his companions were arrested for preaching and singing hymns. In jail, too, Guru Nanak sang songs accompanied by Mardana on his rabab. Soon all prisoners became devotees and sang hymns together. As the normal working of the jail was getting seriously affected, Guru and his companions were set free. Majnu ka Tila was also visited twice by Guru Hargobind. First, when he was invited to Delhi by Emperor Jahangir, he stayed at Majnu ka Tila. The Emperor, however, got the Guru arrested and imprisoned him in Gwalior Fort. After his release from Gwalior, Guru Hargobind again came to Delhi and stayed at Majnu ka Tila. Over the years, a big gurdwara has come up here. Guru Har Rai had sent his elder son Ram Rai to explain certain portions of the bani to Aurangzeb. Har Rai, however, to please the Emperor, changed a bit of the Bani and compromised with the interpretation. He was asked to perform miracles and he performed 72 miracles on meeting the Emperor at a well near Majnu ka Tila. This act was against the teachings of Sikh Gurus, who did no believe in performing miracles. In 1783, Baghel Singh, leading an army, camped at Majnu ka Tila. He raised two small structures there. Later Maharaja Ranjit Singh had the structures faced with marble and endowed them with a jagir for their upkeep. 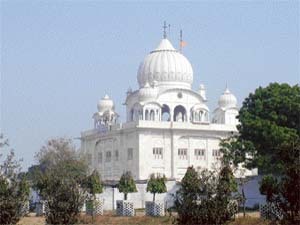 The gurdwara is situated on the Outer Ring Road, between the ISBT and the Wazirabad bridge, on the right bank of the Yamuna. It is on a high platform and has great visibility. The parikarma of the gurdwara houses the well where Ram Rai performed the miracles. There is a residential accommodation named Guru Hargobind Niwas to mark the visit of the sixth Guru. The surroundings are a shabby stretch of sandy maidan. The dome of the gurdwara is white in colour and in due course will get gold plating. The study also finds that women whose husbands earn the lion’s share of income, who don’t work outside the home, or who share a strong commitment to lifelong marriage with their husbands report the highest levels of marital happiness—in sharp contrast to academic conventional wisdom, according to the authors. In addition, perceptions of fairness matter for married women. Women who report that the division of housework is fair are happier in their marriages than women who think that their husbands don’t do their fair share. The study, "What’s Love Got to do With It? Equality, Equity, Commitment and Women’s Marital Quality," appears in the March issue of Social Forces, one of the country’s most highly regarded journals of sociology. It draws on the National Survey of Families and Households, which sampled more than 5,000 couples around the US.